Barbers and stylists who own their own salon need financing to help with short term working capital like expanding the number of chairs and investing in retail products for added revenue. The best beauty salon loans provide quick access to financing for owners that have been in business for 1+ year and are prime borrowers. OnDeck, which sponsored this article, offers a small business line of credit that can help your salon deal with seasonality, unpredictability, and even invest in growth. You may qualify if you have a 600+ credit score, $100,000+ in annual revenue, and 1 year or more of business history. Their online application takes about 10 minutes and you can get funded in as quick as 1 day. Business Line of Credit Salons that need a recurring working capital solution to deal with seasonality or cash flow gaps. Short Term Loans Quick growth capital or to help prepare for predictably busy seasons. Business Credit Cards For all stylists to cover small daily expenses like inventory or styling equipment. SBA Loans Salon owners who want to own their property instead of rent. Salon and barbershop owners have a lot of small business loan options and identifying the right financing can be a chore. Fortunately, we break down all your business loan options in this free webinar. Discover the right financing options for you and learn how to qualify. Salons need financing to meet the flexible demands of their business. For example, expanding businesses often have to find stylists to fill their chairs, and growth capital can help a salon invest in new employees and helping hands. What’s more, salons are sometimes seen as a luxury item, and investing in advertising and marketing can drive quality customers into your establishment. These are things that can create an immediate need for access to capital. However, traditional lenders often see the beauty industry as risky, making it hard to get salon financing. Further, more traditional loans take a while to fund and aren’t helpful to salon owners. For these reasons, we looked at alternative online lenders as a great option for barbers and stylists who own their own salon. One of the main reasons why a salon owner looks for financing is to expand and invest in growth. Two great ways to do so are to bring in new stylists (thus increasing your capacity) or to increase retail sales and other additional revenue streams. This is why we recommend a business line of credit as the best source of financing for salon owners. A business line of credit (LOC) isn’t just a loan but is a preapproved amount of money you can draw from over and over again, similar to a credit card. You’ll only pay interest on the amount of credit you access, so it can be a more affordable solution than other loans if you just need financing in small spurts. You also won’t have to reapply every time you need financing for your salon. A business LOC is the best fit for your salon because it can help with the majority of your needs, allowing you to get access to financing on a recurring basis when a cash flow gap occurs. What’s more, it can also be used to finance your salon growth as a short term working capital solution. Individual barbers or stylists who don’t have a very large book of business ($150,000+) will find it difficult to qualify for this or other types of financing. You can learn more by reading our guide to a business line of credit. A business line of credit (LOC) is generally great for salons looking to draw from funds on a recurring basis as cash flow gaps occur. However, a LOC has a low maximum loan limit in relation to other beauty salon loans. For example, if you know you’re entering a busy season (like summer) and know you have to ramp up your retail inventory with a fixed amount, a term beauty loan might be better. OnDeck offers a LOC up to $100,000 with rates as low as 13.99% for prime beauty salon borrowers. You can get approved by filling out their online application, which takes about 10 minutes. If approved, you could start drawing down on your LOC in as quick as 1 day. A short term beauty salon loan is a lump sum loan with fixed weekly or monthly amortized repayments of principal plus interest. These loans typically have higher interest rates and short repayment terms of less than 3 years. A short term beauty salon loan will typically be paid off within 1 year, but you’ll need to reapply every time you need additional funds. Short term loans are good choice to fund rapid growth to acquire a new book of business or to spend on advertising or marketing that will grow your list of clients. For example, you can sponsor a local fashion show for a fixed dollar amount using a term loan. If you calculate that the increase in business will be greater than the amount of the fixed monthly payments, this is a good investment. With a short term loan you typically won’t save any money by paying it off early. When you get financed you’ll agree to repay a certain dollar amount based on interest charges for your full term. So even if you repay the loan in 3 months, you’ll still be paying the same amount as you would if it took you a full 12 months to pay off the loan. Short term loans are great to help you grow your salon by providing a large lump sum of cash to spend on your business. However, short term beauty salon loans require you to apply every time you need capital. Many salons will find a line of credit that you can draw from over and over again to be a better solution due to the variability of their business. OnDeck offers short term beauty salon loans up to $500,000 and they can fund in as quick as 1 day. You can start the process by filling out an online application where you could get pre qualified in about 10 minutes. Business credit cards work just like a business line of credit but they’re easier to qualify for and typically carry a much smaller line of salon financing. A business credit card is something that every stylist should have. You’ll typically get approved for less than $20,000 in financing and can qualify for cash back or rewards points to use on purchases within your business. A business credit card is best used to make small working capital purchases throughout your salon’s day-to-day operations. For example, all salons have operating costs like utilities and insurance, and you can set up automatic payments on your business credit card, earning rewards in the process. Further, it can even be used to make lump sum purchases thanks to 30 day repayment terms and some cards even offer 0% introductory APR periods, helping you float expenses. For example, if you put $1,000 of retail shampoo on your card, you can receive cash back which reduces your total costs. If you sell through that product within 30 days, you can repay the amount without incurring interest. Plus, if this happens during your special introductory offer phase, you could have 0% interest on the purchases, which gives you even longer to sell your retail products to customers and recoup the money. For beauty salon owners, a cash back card might be the best option thanks to its initial and ongoing rewards. Many of the cards that offer points are beneficial to businesses that conduct a lot of travel or spend a lot on office equipment. Using a cash back business card can help salon owners reduce their operating costs by earning cash back on recurring expenses like utilities. Your business revenue will also be a major factor in determining your eligibility for a business credit card. Business credit cards are great for salon owners wanting a small line of credit to help pay for recurring expenses, but they don’t offer very large financing amounts. The most you’ll likely qualify for as a salon owner is likely less than $20,000. Still, all salon owners should probably have a business credit card to at the very least save for a rainy day. 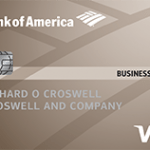 Business credit cards are offered by banks, credit unions, and credit card companies. 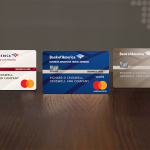 You can learn more about which card might be best for you by reading our guide that provides the best small business credit cards. Individual stylists looking for a small credit card to fund their individual needs should instead read our article on the best personal cards for business owners. SBA loans are long term loans guaranteed by the SBA that are typically used to purchase commercial real estate but are also sometimes used for working capital needs. An SBA loan offers low interest rates, long repayment terms, and are difficult to qualify for, making them a tough option for salon owners. You’ll need to spend a lot of time and energy on the application process and might not even get approved. There are many different types of SBA loans to choose from. Overall, they’re used by salons to finance the purchase of a commercial real estate space to run and grow their business. While hard to qualify, an SBA loan might help you cut down on rent expenses or get access to a physical location in a prime area that could increase your walk in rate. Further, you only have to occupy 51% of the space, allowing you to rent the building out to other businesses, even other salons. While SBA loans are typically for established businesses, you could get approved as a salon startup. Read our article on how to get an SBA startup loan to learn more. You can learn more about the fees associated with an SBA loan by reading our article on the SBA guarantee fee. The reason that it’s hard to qualify for an SBA loan as a salon owner is that while the SBA guarantees the loan, approved lenders are required to maintain their qualification standards. Many lenders perceive the beauty industry to be risky due to revenue volatility. You can learn more about the SBA loan process by reading our article on how to apply for an SBA loan. SBA loans are great for purchasing commercial real estate for your salon, but they’re difficult to qualify for and will take you away from your salon operations as you go through the application process. As a stylist, if you’re not at your chair or managing your other stylists then you’re not bringing in revenue. These loans also take a long time to fund so it’s not a good fit for short term working capital needs. Traditional banks and other traditional lenders offer SBA loans. If you’re not sure which one to apply through then you can read our article on the top 100 SBA lenders to help you find the right match. Salon owners are constantly having to balance their own book of business as a stylist or barber as well as manage the overall salon business. For this reason, salon owners often look for outside capital to either help them hire other managers to run the salon or to hire stylists to take over their book of business. All of these reasons can be met with a business line of credit. OnDeck can fund a LOC for salon owners up to $100,000 if you have a personal credit score of at least 600, $100,000+ in annual business revenue, and have been in business for at least 1 year. To apply you can fill out an online application that takes about 10 minutes and OnDeck can fund in as quick as 1 day. Beauty salon owners often find it difficult to get the working capital financing they need from traditional banks and lenders. Many of them consider the industry to be unpredictable and too risky to provide a large amount of capital unless it’s secured by real estate or other collateral. It can even be difficult to get approved by an alternative lender if you’re not prepared to overcome potential obstacles. Having bad personal credit – or not enough credit history – is a difficult hurdle to overcome with most lenders. When your business is in the beauty industry, it’s even more difficult because of the risky nature of your business. Alternative lenders can approve borrowers with credit scores as low as 500, but the most affordable rates are only going to go to prime borrowers. There are a few ways you can build both your personal and business credit before you apply. While your business credit score won’t necessarily be a factor in approving your loan, it’s a good opportunity to show a potential lender how your business deals with debt. This can improve your chances at getting approved or increase the amount of financing you could be approved for. One of the biggest problems salons face is keeping clients long term. Being able to show a strong book of business that provides a consistent flow of repeat customers is a good way to get a potential lender comfortable with your financials. Due to the nature of the salon industry, this is something that will be very important to lenders that want to understand whether or not your revenue is reliable. To set yourself up for the best chance at being approved, you’ll need to show that your revenue isn’t just consistent but that it’s been increasing for at least 3-6 months. It’s best to be prepared to apply for a loan when you hit 6 months of consistent revenue growth. This shows a lender that you’re trending in the right direction and your marketing and operations efforts are working. Beauty salons have a lot of competition, which is one of the reasons many traditional lenders find the industry to be so risky. You must prove that you can compete with larger salons and that you’re able to keep your chairs filled with clients flowing into the business. For example, if selling retail products like shampoos and conditioners are important to your business, then you’ll need to show that you can successfully sell them compared to the cheaper retail competition that surrounds you. If your business is struggling to get clients because of the competition, then it might be time to think about changing locations. The location of your salon can be key to how many walk ins you get and how many customers stay with your business for the long-term. Getting approved for beauty salon loans isn’t easy, but it’s doable if you properly prepare and know where to find lenders who can fund you quickly. Typically you’ll want to find short term financing for your salon that you can use on a recurring basis so that you have the capital to deal with working capital needs as they come up. OnDeck offers a business line of credit up to $100,000 for salons with $100,000+ in annual revenue, a 600+ credit score, and at least 1 year in business. Their online application takes about 10 minutes and if approved you could be funded in as quick as 1 day. 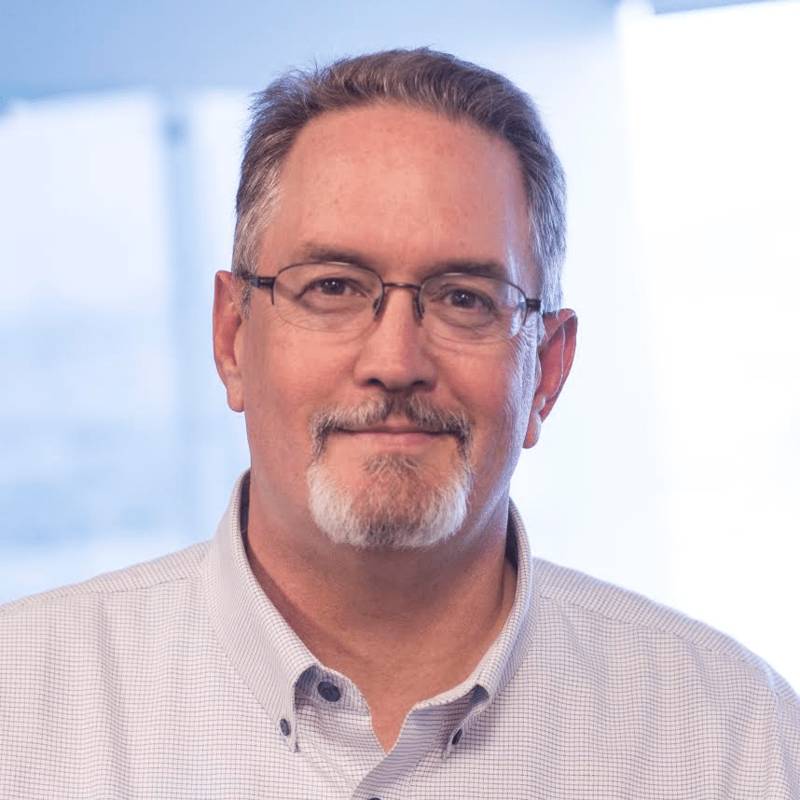 Jeff White is a staff writer and financial analyst at Fit Small Business, specializing in Small Business Finance. As a JD/MBA, he has spent the majority of his career either operating small businesses (in the retail and management consulting spaces) or helping them through M&A transactions. When he is not helping small businesses, he spends his time teaching his five kids how to become entrepreneurs.